The Big Issue is launching trials of a new system turning it into what is believed to be the world’s first “resellable” magazine. A scannable QR code allows readers to pass the magazine to a friend, who can scan the code to pay for it again. The scheme, called Pay It Forward, aims to help magazine sellers earn more money, especially as they operate in an increasingly cashless society. The system has been created by the FCB Inferno agency, in partnership with digital bank Monzo. Lara McCullagh, director of marketing and communications at The Big Issue, said: “The people who buy The Big Issue aren’t just readers, they’re often vocal champions of our mission. Lew Isaacs, of Monzo, said: “In the last 10 years, the number of cash payments has halved and although paying by card is convenient, the falling use of cash has real consequences for people in poverty and organisations like The Big Issue. 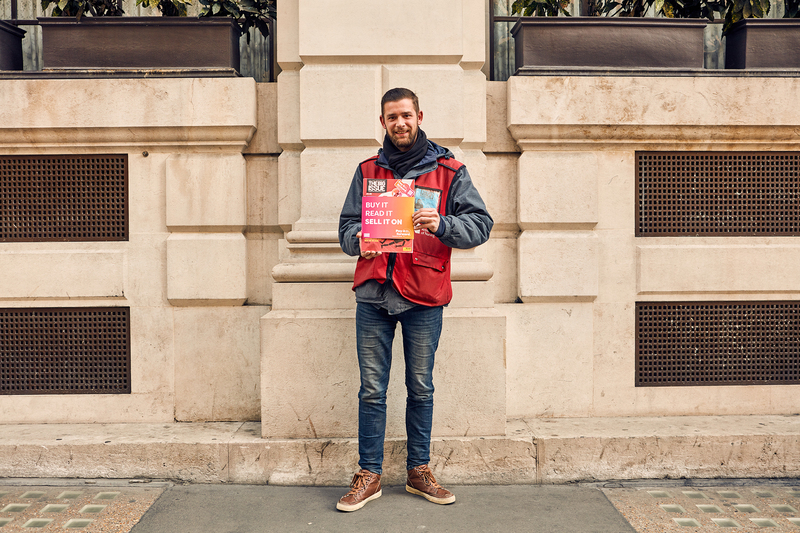 Aaron Dunn, 30, who sells The Big Issue in London’s Covent Garden and has already trialled the new system, said: “It is great because you get to earn extra money on top of the sales you make of the magazine.